Last Christmas I was fortunate to be able to spend a few weeks with Ahmed prior to the Big Move. Ahmed had managed to secure a winter job caretaking and providing security for a resort hotel. I was a little sceptical even then that Ahmed would receive payment for this job but I kept my own counsel; however, I should mention that he never actually did, which is one of the reasons that he has travelled to Maras this year to spend the winter working in a factory alongside his brothers. The average Turkish monthly wage is about 700 Turkish lira which at today’s exchange rate is approximately £241 or $388, but frequently it is a lot less and that is for a six or seven-day working week. Last winter with no money to pay the electricity bill, his sisters-in-law had to sell their treasured wedding rings in order that their family could light and heat the house. Many Turkish lads who flock to the resorts to earn money as bar boys during the tourist season frequently work seven days a week and whilst provided with meals and a roof over their heads often return to their villages empty-handed at the end of the season, when the wages which they have been promised by the unscrupulous bar owners fail to materialise. Unsurprisingly, towards the end of the season burglaries and bag snatches become all too commonplace as many young Turks feel that they cannot return home without providing their family with some financial contribution. Also thrown out onto the streets will be the puppies that the bars adopted during the summer to lure tourists into their premises. They will be left to fend for themselves, dodging stones thrown, traffic and other adult, territorial ownerless dogs, for which they will be ill prepared. The animal shelter in Altinkum, Didm Dog Shelter and Akbuk Dog’s Trust are government-run and only provide shelter for the street dogs whilst they are waiting to be neutered, when they will also have an ear tag, an anti-rabies vaccination and then they are released back onto the streets. Most “street dogs” have at some time been a pet and abandoned when their owner’s circumstances have changed. For those of us with much-loved pets, it is inconceivable that we would desert our friends when they are most vulnerable. In fact, all government funding has now been withdrawn from the one in Akbuk with immediate effect; what do you do with the animals left behind in these hopeless circumstances? Forget Battersea Dogs & Cats Home and the amazingly equipped ones you see on all the television programmes, this is Turkey; the facilities are at best basic and their resources incredibly limited. Whilst there is a small band of dedicated volunteers that do sterling work trying to find them homes both in Turkey and back in the UK, alongside the mammoth task of raising funds.The funds raised will provide cleaning materials such as bleach, feeding bowls, milk for puppies, blankets, medication including parasite treatment. Actually if you live in the UK and you are looking for a dog please check out the Turkish street dogs at Many Tears Animal Rescue, based in Wales, first; these dogs have a lot of love to give and deserve a chance at a better life. Volunteering at the Turkish shelters can be a soul-destroying task and sometimes whatever they do, there must be days when it never seems enough. There is no RSPCA equivalent in Turkey to provide care for injured street animals like the young puppy hurled from a balcony by a Turkish youth last week and left to crawl around on the pavement below. Whilst I love living in Turkey, I think it is fair to say that there are some aspects which sadden my heart. Animal welfare will always be one and deceitful greedy bar owners are another. This is so incredibly sad. I hope many, many readers in the UK receive this post and help adopt these poor animals. It always seems to go hand in hand with human greed. Just shocking! Thank you for describing these sad issues. It’s painful to know about this but the more people realise this, the more chance there is of things changing – I hope. This is very interesting to read. When we were in Turkey last month, my son and I were really surprised at the large number of ownerless cats and dogs running free on the streets. Unlike feral cats and dogs in the US, which are very skittish, most of these were friendly. That they have been pets and are abandoned and lonely would explain that. Many have obviously been adopted by restaurant owners, but now that you mention it, we were lured into several places to eat because my son was amused by the many animals waiting for handouts. It is a very sad situation indeed. Maybe not as sad as young people who work hard and never get paid, or women who have to sell their wedding rings to heat the house. I am very sorry about that too. That’s for sure. It makes me sad to drive past the Home Depot and see workers without papers hanging around in the cold and wet waiting for someone to hire them on the sly and for really cheap wages for a remodel or construction job. I have heard that people sometimes have them do the work, and then refuse to pay them, threatening to call Immigration if they complain. It is really sickening and discouraging to think that this is not the way of the world, but the way of some people, and that it does happen all over the world. I had no idea. I’ve always wanted to visit Turkey. Perhaps when I do, I’ll need to take care to not support people who do such things. Namaste. We noticed the same thing in Thailand. It’s so sad to see lean, hungry-looking dogs roaming the streets. Some of them are lucky enough to attach themselves to a restaurant, where they at least get scraps to eat. It’s so heartbreaking to see. It never ceases to shock and upset me that people can be so nasty to animals. Greece has come a long way in recent years, thank goodness, but still has a lot to learn about animal welfare. It was only a couple of years ago that it became a criminal offense to be cruel to animals; before that you couldn’t even report such cases to the police, they had no grounds to intervene!! How’s that for living in the dark ages? I think it has a lot to do with remainders of mentalities past, that animals are work tools and there to serve only a purpose. You see that in villages where up until recently they used donkeys for work. I’ve heard shocking stories which I can’t even repeat. Unfortunately it takes many generations for this mentality to change. We can only hope we’ll get there eventually. Marla you are every bit as amazing as I thought you were – I read your comment with a tear in my eye – bless you! Thank you for sharing this sad news. Perhaps it will help spread the word and get some of these good guys a loving home. I really do hope that there is someone out there reading this that can provide one of these lovely dogs with a home that they so desperately need – thank you for reading too! I’m an animal lover and I feel physically ill after reading this post. 😦 I so hope many of these poor animals can get relocated to loving homes in the UK. Hubby and I live in a rural area, and there is no SPCA shelter or anything in our county. We had neighbors abandon puppies and their livestock for a while, and none of the law enforcement would do anything. Folks dump unwanted cats and dogs out in the country; some get adopted but most of them die. Spain is not far behind Turkey in the animal welfare stakes. There are, however, so many Brit expats active in animal welfare the situation is not so dire. 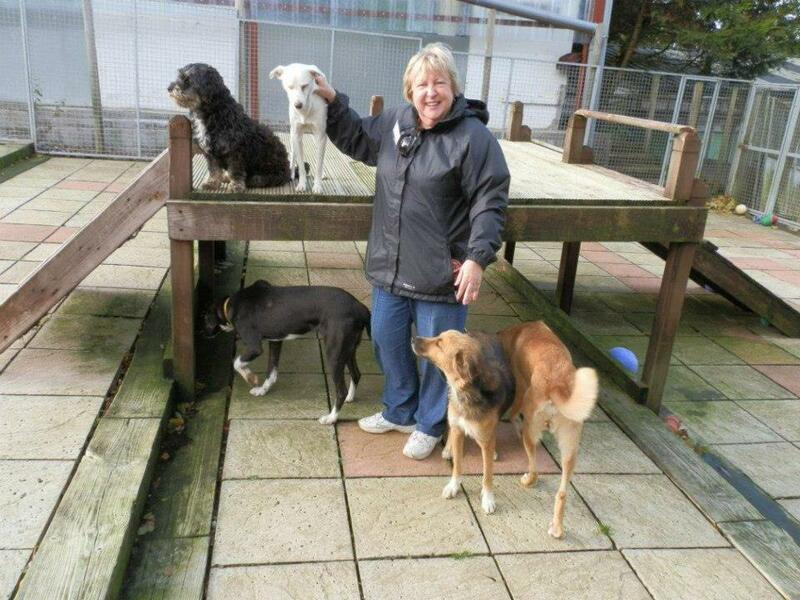 It is indeed Phil when you know how well looked after our own rescues pets are! I love dogs, and this post is so sad. We have a relative who works tirelessly to adopt out abandoned dogs before they are euthanized, and it is heartbreaking to see the dogs and not be able to take them in ourselves. I applaud all who work on behalf of these helpless animals. I was sorry to read about the workers who are taken advantage of, too. Thank you for sharing today. Nice to hear from you Maddie! It’s a sorry situation for all concerned and unless there are changes in Turkish legislation, it will not change. For my part, having several rescue animals in our family, if just one person reads this and can adopt one of the dogs or visits/shares their Facebook page, it will have been worth it. I spend a lot of time in Mexico — workers and animals are very much abused there too. We do what we can to help. One Mexican said his country needed another revolution. Ahhh Dallas, there’s so much sadness in this world. It’s particularly hard to see poor defenseless critters suffering with no understanding why they’ve been treated so cruelly. 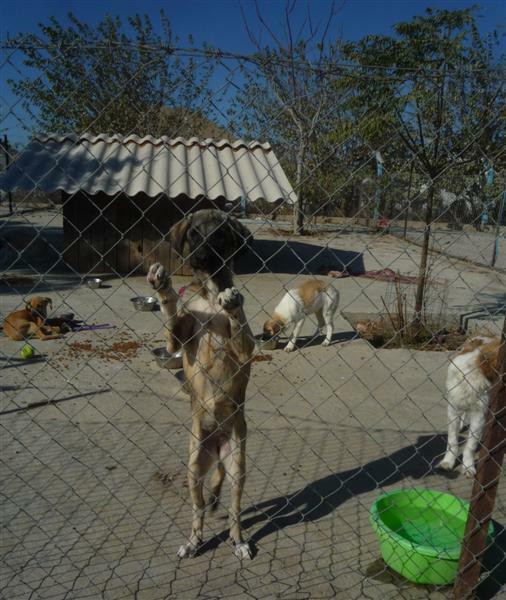 Take a look at the Didim & Akbuk shelter pages, the pictures will break your heart! Thank you for taking the time to look & comment – very much appreciated and if you can share their Facebook pages or the post all the better! 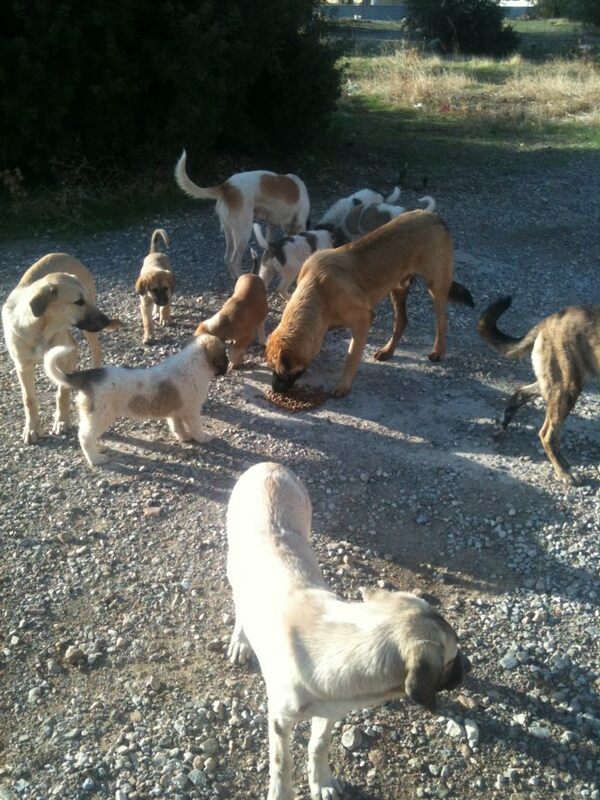 A friend of mine who does rescue brought over 20 dogs back from Spain…. They were terrible no other word for them. She managed to turn them around and if you want to there is a pic of the worst one now all recovered call Akiria on my blog. I think its one the loch post but she is also in the cameo page and hell did my mate do good! It’s a shame that people and animals are treated so poorly. I’m sure (or I hope) that people going to the bars and hotels would not enjoy their holiday so much if they knew that their fun is at the expense of others. I’m not sure how to solve this dilemma but you have certainly highlighted an important issue. This is unbelievably sad, and now I know why we saw so many stray dogs around Hagia Sophia while in Istanbul. Maybe you’ve heard about the American football quarterback Michael Vick who was sent to jail for abusing dogs in dog-fighting rings. In Kosrae, Micronesia, I saw wild dogs all over the place and they will attack because they’ve been beaten as puppies. How can people treat animals this way? It’s incomprehensible to me. Thank you for mentioning the shelters. I will see what I can do. Most of the street dogs are really friendly and rely on tourists and ex pats to feed them – the volunteers at the shelters in didim & akbuk really deserve a medal and try their best to provide the things that the government funding doesn’t provide – they’re the real heroes. I find dog fighting totally abhorrent and detest the sites advertising animals free as we all know where they will end up! I think it’s so disturbing with all those cats and dogs all over the world that are homeless and suffering – that will be abused and tortured. And all the children that lives on the street. I have really problems with handling it and if they show it on TV I can’t watch – my stomach turns. Very real and brutal post you done here, good on you! Yes, I applaud them to – they dedicate their life to rescue animals and care for their wellbeing. Their motivation is in their love for the defenseless and for the value of lives – my mum was one of them – she always said that she loves animals more than she loves people. Your Mum must have been an amazing woman and a good judge of character. The shelter in Didim would be miserable without the volunteers holding auctions, table top sales, dog walking, kennel cleaning, transporting dogs! You have to admire that kind of dedication – it takes a really good soul to be that selfless. I admire all selfless act’s. My mum are a fanastic woman and human being. Greece is extremely similar. No shelters, no one to call when you find a hurt animal (which we did – and it broke my heart that there was nothing I could do). I know there’s a program in Greece that’s like the Many Tears Animal Rescue, where they ship Greek dogs off to loving families. And that is so sad to hear about the bar and resort owners! I had never heard of that, where they hire Turkish men and then never pay them. What a detestable practice! I like that you are using your experiences in Turkey to raise awareness. If you can’t be there you can still be doing something in the interests of the vulnerable. I feel sad for the abandoned and abused animals – if you can’t be kind don’t be anything at all at the very least… no matter how awful your own circumstances. And as far as the for workers who don’t get paid… how could you live with yourself knowing you are taking advantage and creating misery… but I know they do. Turkish problem yes. Global problem yes. Thank you for that and you’re right it is a global problem and whilst I can’t save the world, if it means that one person on here likes/shares their Facebook Pages or can re-home one of the dogs or sponsor a volunteer for their Xmas Day Dip in the Aegean, then it will be a good day for me! What a sad tale, it sometimes makes you feel ashamed to be human. But then you see the other side of the story. I’ve just looked at the Many Tears Animal Rescue website which you mentioned – Sylvia is an awesome lady and an inspiration to us all. So are the wonderful volunteers at Didim and Akbuk who fund all the things the government funding doesn’t provide (and that’s a lot) out of their own pockets. Their fundraising efforts include table top sales, auctions, xmas day swims – truly amazing people! And thank you for re-posting if Didim raises more funds maybe they can find homes for more like Leo, Twiggy & Lola. It´s good that you have highlighted this issue here. Heartbreaking to see though. Sadly, nearly all the expats we speak to have something similar. It’s such a heart-wrenching topic. I really wish people would go to animal shelters first and foremost to find pets and I hope that your post will ultimately lead to at least one rescue dog find the loving home they deserve. Absolutely, re-home shelter animals every time! And Hayley, I so hope you’re right that someone shares their links and these little guys get snapped up. One of the shelters tells me that “shares” of their pages has helped them re-home many of their animals – fingers crossed! What a great way to shine the light on an issue that needs to be, most definitely, talked about and brought to light. Hopefully some dog(s) will find a worth family . And Ugh in regards to the unscrupulous, under-handed, corrupted business dealings in so many places on this side of the globe – So frustrating. Living in Turkey is a bit like a duel-edged sword, I suppose like many other parts of the world. However, I’m hoping that someone somewhere sees this post, shares a link, attend one of their events or can offer a home to one of these superpups and it will have been a good afternoon’s work for me! I had absolutely no idea about this topic… Thanks so much for sharing. Heartbreaking and tragic doesn’t BEGIN to convey this tragedy. I’ll definitely be visiting the *Tears* link, and reposting on my FB pages… Just to share the knowledge. Thanks, again. Much love and light to all these wonderful people and beautiful critters. It is an absolute tragedy that people can abandon their family pets who have given years of loyalty to the streets without any thought for consequence. I know that you see so much of it as you travel country to country and you’re absolutely right without those dedicated individuals the situation would be even more hopeless. Such a sad story about Ahmed, his family, and the greedy bar owners and the poor dogs left to fend for themselves. I too loved Turkey, though I don’t live there (I was just a tourist), and I wish the best for the Turks because I fell in love with that country and the people. It’s probably my favorite place I’ve ever been. But it is sad to see the struggles that people (and animals) have. Thanks for sharing! It’s all about good governance, isn’t it? It isn’t much better here either, but hurling a small defenseless puppy out of a balcony is just too much to comprehend! How can people be that cruel? This is a facet of Turkey that I was unaware of, but you are right, all societies have their warts. A heartbreaking post. I think what saddened many was that people just ignored its plight, I dread to think what would have happened if he hadn’t been brought to the shelter, unfortunately it was pts but humanely euthanised as its injuries were too severe but this was a better option than prolonging this little guy’s suffering. Many of the British ex-pats I’ve come across (particularly in Spain) are the worse offenders of this .They get themselves a dog or a cat and then abandon it when their life changes and they decide to go back home or move to another country. I often wondered if these people would do the same with a baby. You are so right – the Didim Shelter facebook page is full of dogs that have been given up by ex pats relocating to other parts of Turkey and you share the same thoughts as many! Wish I could adopt them all. I think somebody above said Spain wasn’t far above Turkey when it comes to the dire state of animal welfare and I would have to agree. I didn’t really see stray dogs and cats wandering around Madrid, but when I lived in Malaga, Spain for three months, both my host mother’s dogs were in heat and used to wander away from the house to find male dogs to “have a good time.” Spaying/neutering dogs is very expensive to begin with and many dog owners won’t bother getting it done (we had it done on our dog when he was only a few months old). One of her dogs got pregnant and gave birth to a litter of puppies right before I left. The puppies were very cute, but then my host mother had the task to find homes for them since she couldn’t possibly keep them all since she already had two dogs. Six months later, I returned to Malaga to visit and the same dog was pregnant again! I was flabbergasted. This is just so terribly sad. We work so hard in the US to convince people to spay and neuter. We have so many commercials through the media to ask for contributions and raise awareness. Then I read something like this, heartbreaking. Seems there are only two kinds of people in this world; those with a heart of gold and those with a heart that’s cold! So sad. I am a vegan and I do not want to cause suffering to any animal when there is an abundance of plants on this planet. If only we could eradicate cruelty and greed, like smallpox and the plague. Rescue dogs make the best pets. Adopt, adopt, adopt! I had no idea this is happening in Turkey. Thanks for writing about it. The Turkish govt should do more! Being an expat (well sort of) I did think about getting a dog to love and care for. But you’re right, life is unsure and we don’t know where we’ll end up next. So, I decided against it. Cruelty against animals is rough on most of us and maybe you just found your new calling in life!! To save as many as you can! These days (with all the social media advantages) it should be possible to get (some) sponsoring for any of the existing shelters, or even start your own? One of the things they warn exchange students about is not to adopt a street kitten or puppy because they only end up back on the street when the student leaves and the animals are not prepared for street life. The street animals around my campus are numerous and food is left out on a regular basis for them. However there is much discussion in Istanbul about clearing the streets of these animals – it will be interesting to see what is decided. I think control of the street populations is necessary but not through killing them. Absolutely agree with that, I would have loved to adopt animals but our situation was far too precarious to consider offering a forever home. There was a change of legislation in Turkey recently about street animals but I think the public outcry made the government rethink their plans. What a tragedy, this brought a tear to my eye. Me too – don’t know how volunteers in animal shelters can still turn up every day knowing the heartbreak they will face and yet they still do it day in and day out! Unsung heroes! Oh, how sad… I have the biggest soft spot when it comes to animals (especially dogs) I’ve heard some really sad stories about dogs that were abandoned during Sandy too.. sigh. We have a house full of rescue animals too and I hope that ones during Sandy are reunited with their owners and those that aren’t manage to find other loving ones. Having said that I’m sure my Dad would always find room for a little’un!